Hudy have introduced their all-new pure tungsten balancing weights. Made from rare pure Tungsten material, known for its very high density and thus heavy weight, the 5g and 10g weights are a lot smaller than conventional brass or steel balance weights, allowing for easier placement and a cleaner layout. The super small weights also make for lower centre of gravity thanks to their low-profile design. The weights are available separately in 5g and 10g specification. 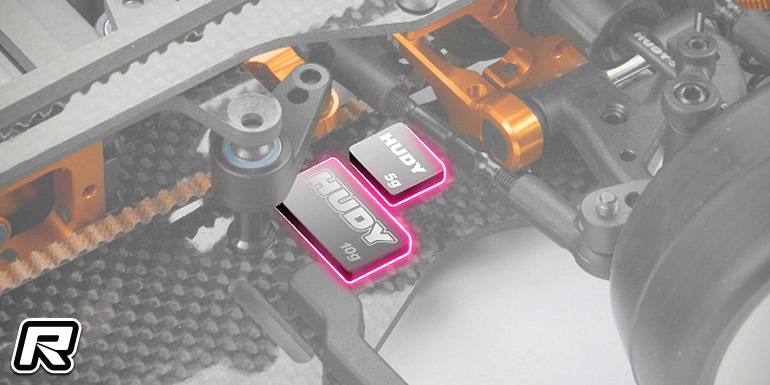 The post Hudy 5g & 10g pure Tungsten weights appeared first on Red RC - RC Car News.